When planning on making a new purchase, most people are excited, looking forward to the big day with anticipation. While we daydream for hours and hours about the fun things that the new purchase will enable us to do, we don’t spend a lot of time similarly daydreaming about the financing of said item. That’s something that most of us dread. With all the numbers, rates, terms and percentages flying at us in the finance office, it’s easy to become overwhelmed. We’re proud to say that this won’t be the case for you when you purchase a new Kia at Suntrup Kia South. Here, we have a dedicated finance team ready and willing to walk you through the auto financing process. Feel free to ask them any of your questions, and they will be happy to make sure that you understand every step of the process. Let’s face it: spending time at the bank or other financial institution filling out paperwork is not enjoyable for anyone. It’s also inconvenient-trying to add that appointment (or appointments) into an already over-full work week. Finance at our dealership, however, and you’ll enjoy the convenience of applying for auto financing simply and easily online. That’s right, you can start the process from the comfort of your own home. Plus, because we work with a number of different lenders, you’ll enjoy competitive auto finance rates. 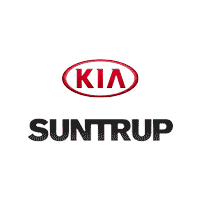 At Suntrup Kia South, we pride ourselves on always finding new and innovative ways to serve our customers better. Why not stop in soon and chat with our friendly and helpful finance team about your auto loan options? We’re proudly located in the beautiful area of St. Louis, MO, very close to Affton, MO, Arnold, MO, Kirkwood, MO, and Webster Groves, MO, where we hope to meet you soon!